My damaged hair experience - For a little bit of background, I thought I'd start by talking about my hair experience. If you've read any of my blog posts about hair care or hair damage you'll know all about it but for those who missed that, here we go. 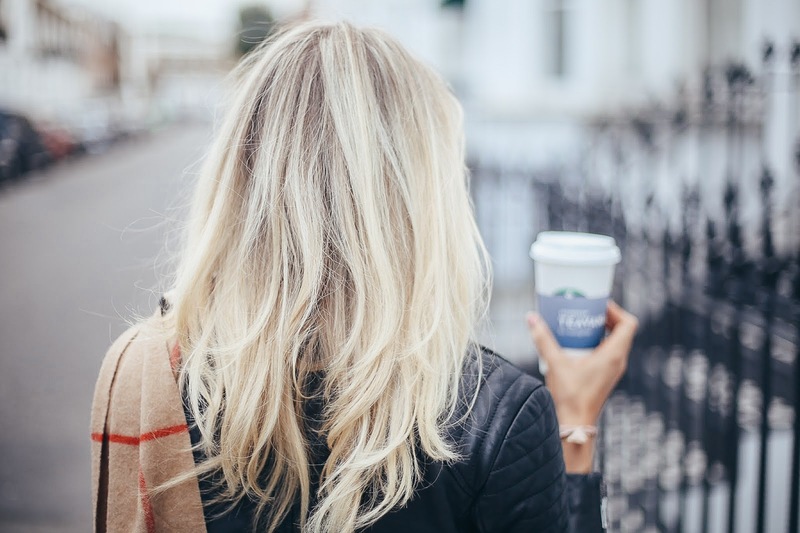 Ever since I was around 14 I've been wearing hair extensions, I was absolutely hooked to them and one of my first ever blog posts was my hair extension guide, talking about which hair extensions to buy. I would sleep in clip in extensions and then I moved onto cold-bonded extensions and then onto hot-bonded extensions. Starting out, I actually had quite thick, long hair but the desire to have even longer thicker hair made me go for hair extensions (I'm blaming Britney Spears). I always wonder what my hair would be like if I never went for hair extensions all that time ago. Basically, a mixture of all over bleach and hair extensions over a number of years absolutely destroyed my hair. I was left with hair that didn't want to grow, bald patches and I cried, a lot. If you read my blog post about how my hair ruined my confidence, you'll probably know just how much distress it caused me. My hair had always being my comfort blanket and I felt naked and ugly without it (which is wrong by the way because no-one is ugly, I just felt incredibly ugly). I didn't understand why even clip in extensions had ruined my hair so much but it's because any hair extension is putting weight onto your scalp, therefore, weakening the root of the hair. I still have weak hair strands to this day above my ears from where the weight of extensions had ruined my scalp. Wind forward a few years and I had to get my bonded extensions taken out, we had to burn them out with straighteners and acetone because the lady who put them in was unavailable to come and take them out. My hair was a matted mess of tuffs and I was left with barely any hair, so many bald patches and a very unconfident young girl. A few years later? I never thought I'd say it but my hair is even and thick and it's growing, every single day. I hope my tips and tricks will help you fix your damaged hair and grow your hair strong and long. I also get asked about what hair products to use for hair growth so will list my top hair products for growing and strengthening the hair too. One Rule Doesn't Fit All - First and foremost, just like everything, one rule really doesn't fit all, there's no plan that will fix your hair immediately but hopefully through my experience this will help you. You may just have really forgiving hair or you might be like me and it may take you years to grow it. I have had such a long journey to strengthen and fix my hair so I feel as if I'm in a good position to give you my tips. I find my hair has started getting thicker first which is great and then the length comes after. Nothing Happens Overnight - It's important to remember that nothing happens overnight, just like you can't lose weight over night, you can't grow your hair overnight. The hardest thing for me was to recognise that it would probably take years to get my hair into a state I was happy with. To put it into perspective, it's been about 3-4 years since I cut all my hair and started fresh (the damage was too much so I had to go for the chop). So, how did I do it? and can you speed up your hair growing process? Here are my tips. Start Fresh - Rather than trying to protect and save your already damaged hair, I hate to break it to you but it's better to bite the bullet and just cut it off and start fresh. I had to cut pretty much all of mine off when I first went to see Lee at the Leeds Sassoon (he's now moved to the Manchester salon - perfect if you live in Manchester so I now see Tatty and Conor at the Leeds salon, all three are epic when it comes to cutting hair). Lee absolutely saved my hair by giving me that very advice to begin with and making me start from scratch with it. If you've got lots of hair that you're cutting off, you can give it to the Little Princess Trust via Ghd hair, an awesome organisation that makes wigs out of hair for young girls suffering from hair loss. I sadly didn't have much to cut off as it all went matted and disgusting but the best thing I did was sit in the chair and completely start fresh and give my hair a chance again. No Heat - I know it's hard but don't use any heat on your hair to begin with. I did a whole one year period where I didn't put any heat on my hair, I just tied it up every day. I really do think this gave it the best chance of growing as I wasn't damaging my hair every day. If you really think about it, you are literally putting hot irons onto your hair and thus, damaging it further. Give it a chance to breathe, a chance to grow. If you are trying to grow your hair but MUST use heat, try and limit it to once a week and let your hair style grow out as the week goes on, e.g, curl it on Monday and leave it until Wednesday or as long as you can. If you can hold on washing your hair, it'll make it go less greasy too. My hair doesn't really get greasy quickly anymore now as I have trained my hair to go a few days without heat/styling. A good period to do this is over an empty weekend or over Christmas, just leave your hair for a few days and then it'll get out of the rhythm of needing to be washed every single day. Even if you just let your hair dry naturally or 80% naturally, it's a start. Natural Hair Styling - Once you get to know your hair, you can style it without using heat. For example, plait your hair then you will wake up and it will be crimped or do a messy bun. Messy buns are totally in now as are swishy pony tails. I always dreamt of having a swishy pony tail! For quite some time I bought a hair bobble that had hair attached to it, it made my pony tail look bigger without being clipped into my scalp or damaging the hair, you can do the same with hair buns too - genius. Favourite Heat Protectors For Hair - I recommend always using a heat protection spray if you're going to be using heat, I personally use Bumble and Bumble hair primer (all of their products are incredible but this has UV filters, oil AND protects from the heat so you are all good) or a VO5, Batiste (they're not just dry shampoo anymore! ), Tresemme and GHD heat protection sprays are good. I use one every single time right before heat touches my hair. I also swear by (and have gone through so many bottles). Another firm favourite of mine is L'Incroyable blow dry by Kerastase I put this cream on before blow drying as it protects, smooths and more. The Best Heat Tools - If you are going to use heat on your hair, or when you reintroduce it like I did after a year (and I still only try to use it once to twice per week), I swear by the Dyson Hair dryer (shame my boyfriend has stolen mine because he loves it so much) as SO much technology has gone into it meaning it doesn't damage your hair as much as traditional hair dryers. The Dyson Hair dryer has been engineered deliberately to ensure the hair isn't damaged by extreme heat so you can have your cake and eat it too, or in this case, blow dry your hair - hooray. I also adore Ghd, all their heat products are epic and their hair dryers are fabulous for day to day use. The Ghd air hair dryer dries your hair in half the time AND so many Ghd products give back to breast cancer charities so at least you're giving back by investing in one. 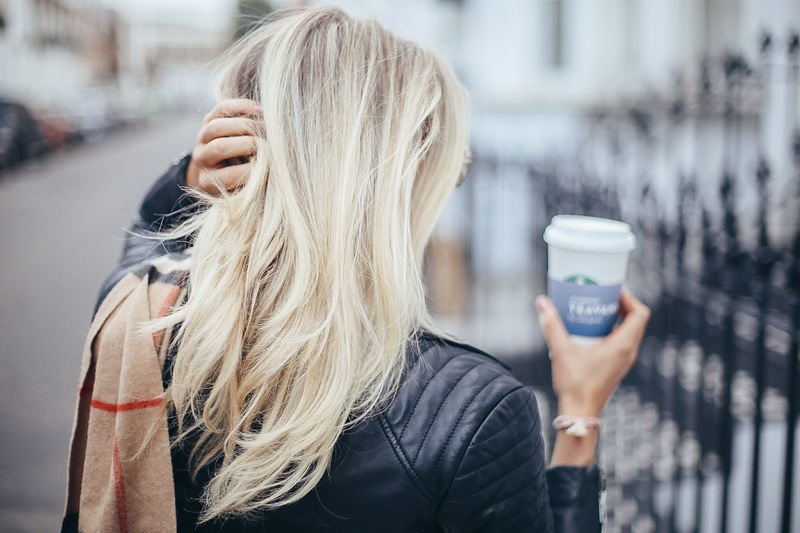 Be Careful Of Snagging - One thing people often forget when trying to grow hair is that you can easily snag your hair with certain hair bobbles, clips or even your handbag on your shoulder. Be cautious of snapping the hair and try use soft scrunchies, hair ties or invisi bobbles (swear by them plus they're doing a campaign to raise money for breast cancer care throughout October too which is worth checking out, for such a great cause) to tie it up to avoid that. You can always go one step further and use a silk pillow case, I use a SLIP pillow case as they're designed to be softer for your hair and face, people swear by them, they also do hair ties now too which I'm desperate to get my hands on! Hair Extensions - I am asked so often which hair extensions should I buy, as mentioned, hair extensions absolutely ruined my hair because of the weight, so even if you go for clip ins, they are still tugging at your scalp and hair follicles. Regular Trims - I actually grew my hair the quickest when I was seeing my hair dresser the most. People seem to think that trimming the hair means it wont grow but it actually only means it grows thicker, stronger and longer because you're just gently trimming the already snapped or dead parts off rather than letting them get ratty. It's better to get rid of them so you're growing strong, long hair. Hair Washing - Try and let the natural oils stay in your hair, so as mentioned, I can leave my hair for a while now before it gets greasy. It's hard because I work out most days but if you can wash your hair every 2-3 days that's better than washing it every single day, you don't want to strip it of it's natural oils and it's good to let it get dirty. Batiste Dry Shampoo is your best friend, I can get another 2-3 days out of my blow dry and fresh hair because of dry shampoo!!! I swear by it, they even do a volumising one now so you don't need to even use heat. I will write a full blog post detailing all the top products I use for hair growth but for now, here are a few ideas. My Favourite Shampoos For Growing And Strengthening The Hair - L’Occitane Nourishing Care Shampoo - Online here - The Body Shop Banana - Online here - L’oreal Professionnel Acacia Leaves & Aloe Essence - Online here - L’oreal Elvive Dream Lengths Shampoo + Conditioner - Online here - Aveda Damage Remedy - Online here - Mane N Tale Shampoo - Online here - Kerastase Bain Extensioniste Resitance - Online here - Anything by Bumble and Bumble and any product by Redken. Read my full list of the best hair products for growing hair. Pricing - I really don't think you can put a price on a good hair dresser. I have been visiting Sassoon Leeds for years now and I think I owe my hair thickness and strength due to them being so knowledgable and skilled in looking after my hair. We started by cutting it all off and starting fresh, I then went every 5 weeks for the tiniest of trims and I now have long, thick hair which isn't looking to stop growing anytime soon. Hair for me = confidence and I know it's silly but it is, I know you guys feel the same as I get SO many messages about this. Don't scrimp on your hair, go to a good hairdresser. I highly recommend Lee at the Manchester Sassoon Salon, who took my hair from literally zero to hero (he said he had never seen hair so damaged!) and Tatty and Conor at the Sassoon Leeds salon. I get my colour done by Louise at Sassoon Leeds. It's all about talking to your hair dresser, explaining your situation and they will try and help. 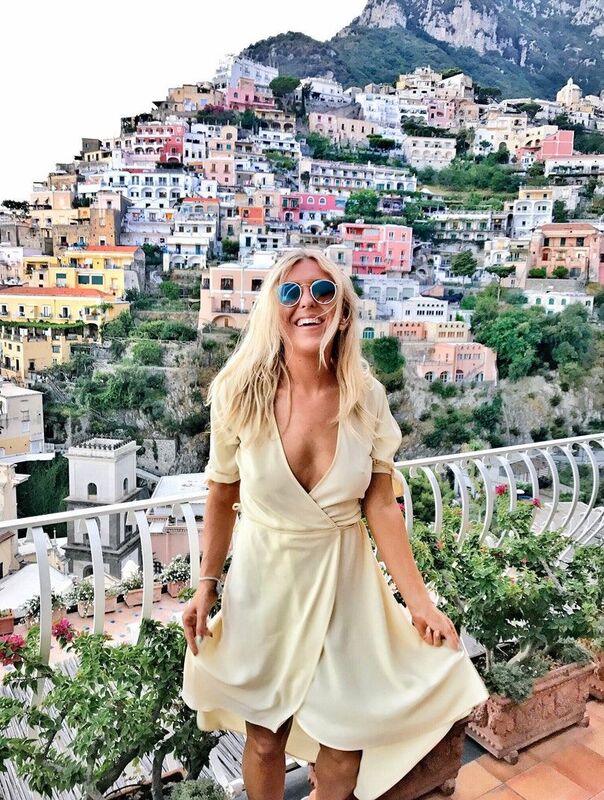 I wrote a blog post about how my hair ruined my confidence for more on this and also a blog post about how to find the perfect hair dresser. Diet - Diet plays a role in your hair, I did so much research on what to eat to make my hair grow quicker and most things say oily fish, things with omega, any tablets with biotin and walnuts too. I'm not the best at eating fish and like many of you, I am always looking for the best, quick and easy way to make my hair grow. I did recently start taking Sugar Bear Hair, these are gummy sweets designed to help grow the hair quickly. This is not in anyway sponsored but I'd always been intrigued about them. I think my main concern is that the girls who model these hair growth products usually have extensions and I wish they'd work with girls who genuinley have issues growing their hair. I took 1x months supply and my hairdresser asked me what I've been doing differently, because she could see new hairs growing from my head. The only other thing apart from not using as much heat (once per week) and sleeping in treatments (once per week) and using the shampoos listed above, was eating two sugar bears per day, every day for 1 month. I'm onto my second tub now and almost finished it so will report back when I next go to my hair dresser. I am definitely going to continue buying them because I do believe they're giving my body the right vitamins and minerals to grow my hair as there is so much goodness in them and the right vitamins for making the hair grow. I am really excited to keep eating them (they taste delicious too) as they could really be answering my prayers! My hair has definitely thickened up recently so maybe my body just needed these nutrients. I want to keep tasting them so I can do a fair test to let's see! I've also started using Bioglan Beauty Collagen Gummies - they taste SO good but they're full with readily absorbed hydrolysed Marine Collagen and vitamins and minerals to support healthy hair, skin and nails, they're high strength so should work! I know there's another brand called Viviscal too which people really rate for hair growth, they do maximum strength tablets that you can also take daily. 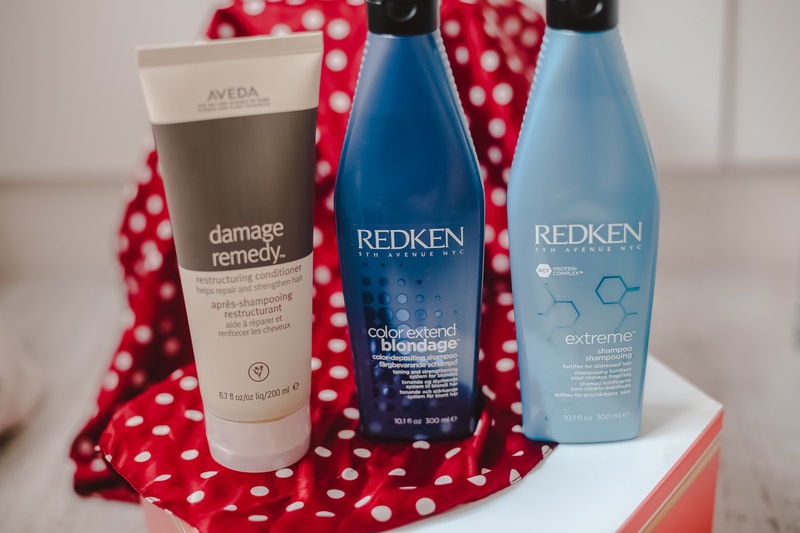 These products can't be 'scams' because if you read the ingredient list, they're full of all the things I've researched for hair growth which is probably why they're working! You can definitely boost it by having certain things in your healthy diet, apparently spinach is good too! A healthy diet = strong, shiny hair! Regular Treatments - I swear by regular treatments on my hair, whether that's sleeping in Vita Coco coconut oil to replenish my hair (this stuff is not just for cooking!!!) I sleep in it and you have to REALLY wash it off a few times as it's oil but it'll make your hair so happy - or, going to Sassoon for my regular treatments too, I know they use an in salon one every time I go in and sit me under the heat with it. I also had one of the best hair treatments of my life by Redken at Lock On Ego in Chelsea, it's designed to completely replenish damaged hair and I swear my hair has never looked so good! Obviously like I said, you can do treatments at home such as Vita, or lots of other brands like Kerasaste and Bumble and Bumble are epic for 20 minute wash off treatments, I'd just say ensure you're leaving a treatment on for at least 10 mins, buy treatments that specifically say they need to be kept on, it usually means they're stronger! A Flowerbed - Treat your hair like silk. I was once told years ago to see my scalp as a garden, it needs fuelling efficiently, watering properly and the right products need to be used on it. When you're thinking of doing something to your hair, remember, it's a piece of silk, would you iron a piece of silk? Would you tie it up with a band that's going to snag it? Try and be as gentle and kind to your hair as possible to give it the best chance of growing. 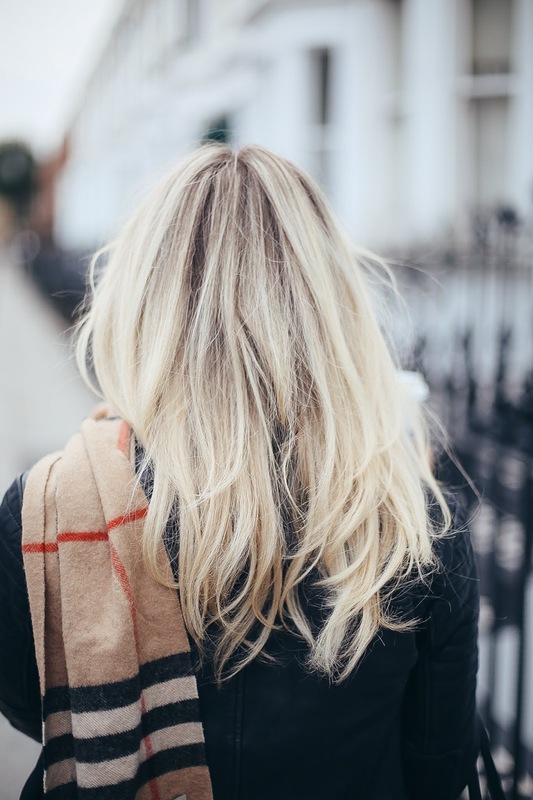 So there we have it, my top updated tips on how to grow the hair and my tips on how to fix damaged hair plus, a little update about which hair extensions you should buy (basically none, stay clear of them until your hair gets back to growth!) I so hope this helps you. I know it's hard and it takes time but it'll be worth it when your hair is back to being healthy and happy. Do comment below with any hair growth or hair strength tips you may have!